Laura Casey of Changing Seasons Farm in Fall City, Washington is a very busy women. Not only does she run a small sustainable farm operation, but she works as an Environmental Scientist almost full-time on the side. Laura and her husband Dave do not employ workers, but instead collaborate with friends and family who help out on the farm. 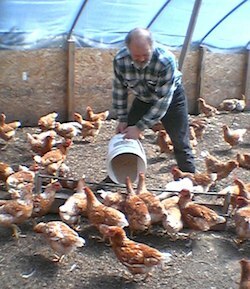 John Clark grew up on his father’s dairy farm – Applecheek Farm of Hyde Park, Vermont – and began working on the farm full-time in 2005. Clark purchased the farm from his father three months ago, and is already diversifying and reengineering the operation. 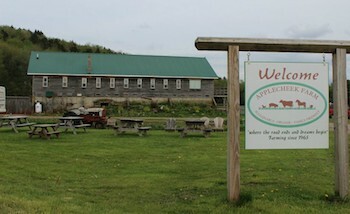 Applecheek Farm raises all kinds of livestock, from hogs to cows, while providing education and agricultural tourism. 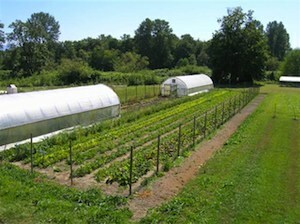 Clark focuses on sustainability and simplicity on the farm with big dreams for the future of his local food community. 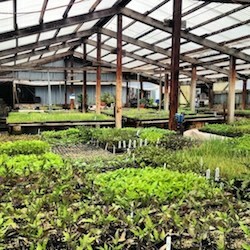 Greenhouse starts at Love Farm Organics. Photo Credits: Love Farm Organics. Amy Love is an educated and well-seasoned fifth-generation farmer, as well as a mother of two. She and her husband run Love Farm Organics, a CSA operation located in the Willamette Valley just outside of Portland, Oregon. This land has been farmed by the Love family for over 100 years. Love is passionate about genetic diversity, the well-being of the land and delivering quality food to her community on a modest scale. Jerry and Janelle Stokesberry spent one of their first romantic outings at a local livestock auction, and over 30 years later find themselves running an animal farm of their own. Stokesberry Farm of Olympia, Washington raises a variety of livestock with a passion for providing nutrient-filled, local meat to their community. They feel strongly about the accessibility of their product as well as working with Mother Nature rather than against her. Al Esposito of Poplar Wood Farm. Photo Credit: Al Esposito. Al Esposito of Poplar Wood Farm does it all: from growing and selling organic produce and cut flowers to garden landscaping, as well as raising free-range chickens and goats. As if that doesn’t keep him busy enough, Al is currently the President of the Northeast Organic Farming Association of New Jersey, leading the non-profit organization with a goal to make healthy food an abundant possibility.